It’s a strange winter that’s seen a lot of beautiful spring days and a few notably polar ones. 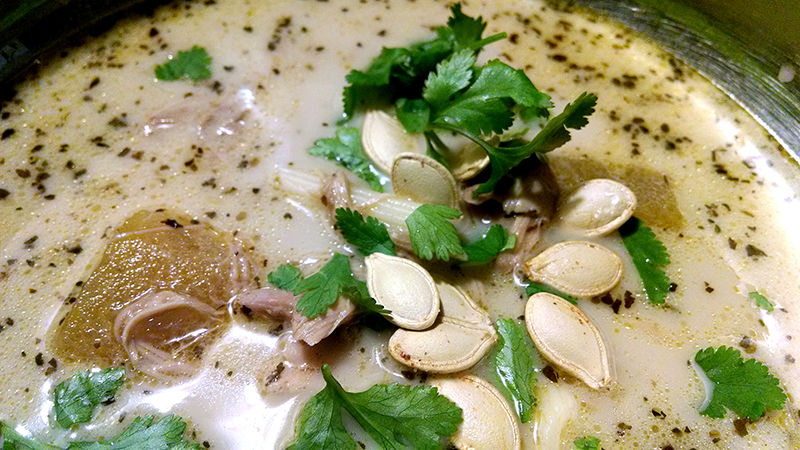 If it’s going to be cold any particular evening, a soup or stew is what to have on the stove. 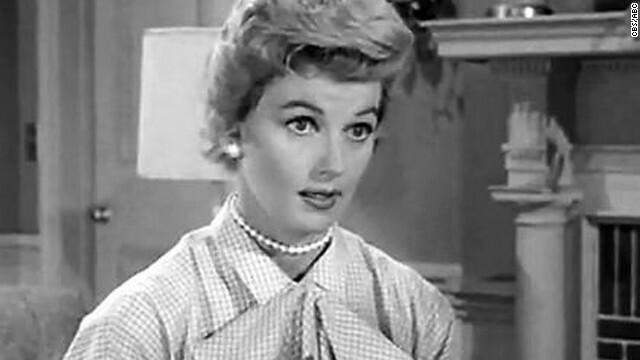 Not to get all June Cleaver on y’alls tails, but I love knowing something will be ready the minute my darling returns from a long day of work. Stews’ll let you have that. 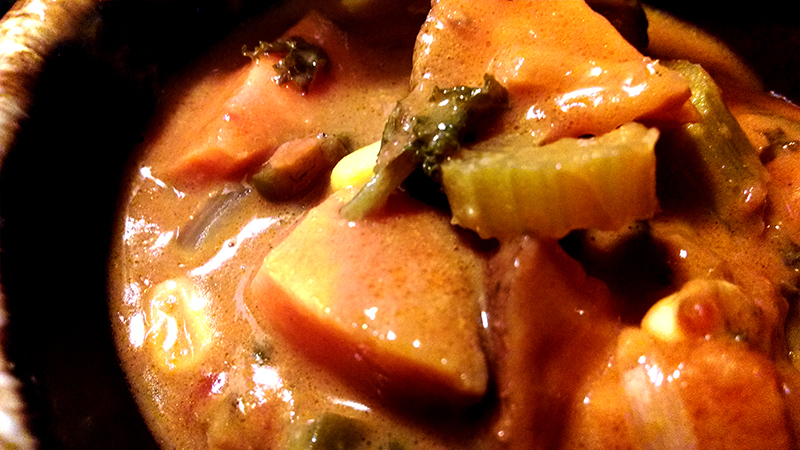 Tonight I’m trying a West African-inspired peanut stew that made friends with the inside of my cupboard. When your oil in a large pot reaches the high side of medium-low, add your seasonings to the oil and mix it into a paste. Then mix in the kale onion, garlic and celery. Let that cook for 5-10 minutes, and upon your return add the tomatoes peanut butter, stirring it in until smooth. Add the can of beans (liquid ‘n all) and as much broth as your taste permits. Put diced sweet potato in pot and let it come to a leisurely boil on M before covering it, turning the burner to L and walking away until your sweet potatoes are tender (At least 45 minutes). This is a gluten-free and vegan recipe, but… wait, come back! You didn’t let me finish. This is a gluten-free and vegan recipe, but use chicken instead of vegetable broth or, heck, add actual chicken and you’ve got an inarguably good dinner at 5 spoons. A stew is an entirely different animal than a soup. Well, not entirely. It’s just much more about the solids than the liquid. I also made pumpkin oatmeal, which is a good step above soup. Be gentle; this is my first pumpkin. Preheat oven to 425. Start your garlic and onions on ML in the coconut and 3 tbsp olive oil. While they become friends go ahead and blanch your kale and ready those cherry tomatoes (I wasn’t planning on using them but by Thor’s Hammer I was not about to let them get a day wrinklier on the counter). Toss cherry tomatoes with 1 tsp olive oil and place in a baking pan. Sprinkle with sea salt and put in the oven for 20m, or until their skins begin to split. While those roast, go back to the pan and turn heat to M. When hot, add spices and jalapeno and stir for no longer than 1 minute. Add pumpkin; mix. 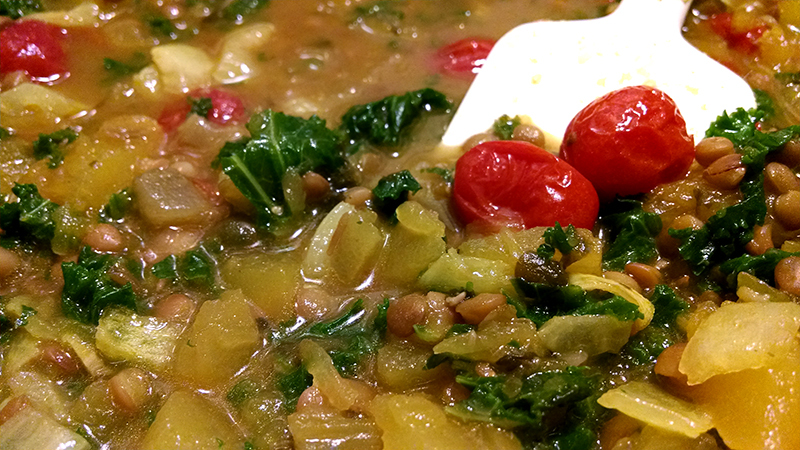 Add lentil soup and kale, mix gently until hot. When done add the tomatoes to the pot and serve. I did a pretty good job covering up that inside-of-an-aluminum-can taste that no soup on a grocery store shelf can hide… even with a little processed food in its foundation, this stew gets 5 spoons! The chunky pumpkin is an excellent stand-in for the potatoes usually found in this recipe and the cherry tomatoes provide an unexpectedly flavorful bite. Make sure, however, to look for a low-sodium can of soup to offset that sea salt. There is still 1/2 c puree in the fridge, and a quart of cubes in the freezer… something else will have to be made. I will continue to sally forth, roughly handling gourds wherever I go. The wonderful thing about having a whole, roasted animal in the house is that the meal-yield (say that five times fast) is better than above board. With all of the seasonings had by our bird, adding anything more would have been an irrelevant waste of good spices. Combine broth and coconut milk, and bring to a near-rolling boil. Add pumpkin and reduce heat to L until fork-tender. Add penne and chicken in; stir until warm. 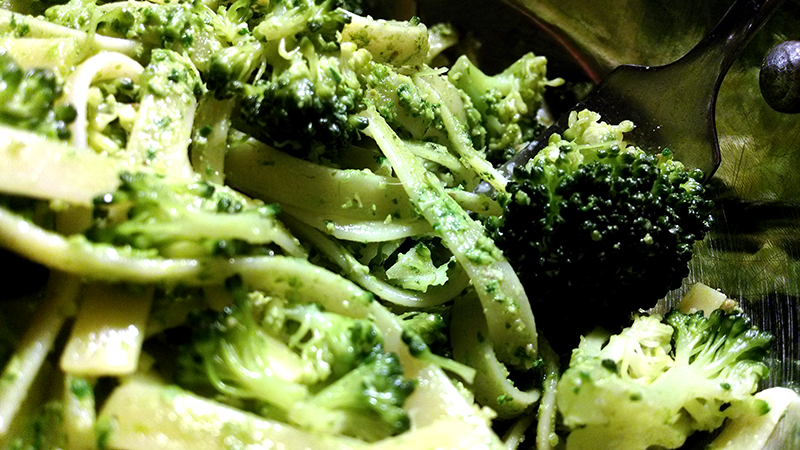 Serve garnished with cilantro and seeds. 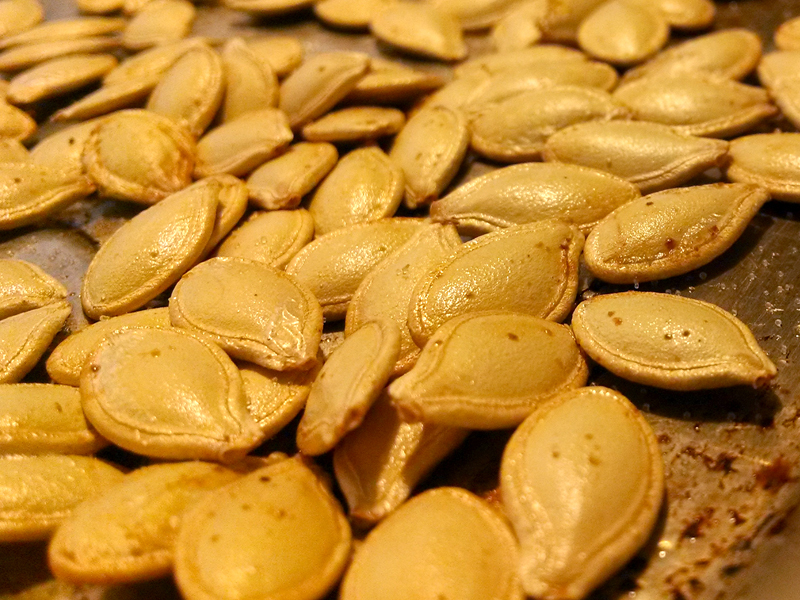 Then eat the seeds first, because they ended up being pretty for presentation but quickly became unhappily chewy. Other than that learning experience, this gets 5 spoons! Is it cold where you live, and do you care about bacon? Boil all of your pumpkin and potato (I leave potato skins on since there’s more nutrients in the skin than there is in the rest of the tater) in as much tandem as possible with cooking your bacon. When your bacon comes out of the oven, set the strips aside to cool on a paper towel and immediately spoon a tbsp of the pan drippings into the pot which where our finished product will ultimately live. In fact, the garlic and onions are already at the place! Start with ML for 5m, then reduce to L after a minute or two. Stir in turmeric, pepper, salt and asafoetida Let it simmer another minute or five while you ready your handy food processor. The potatoes/pumpkin should both be from fork- to falling-apart tender, and should turn easily into a uniform mash; transfer from food processor to soup pot. 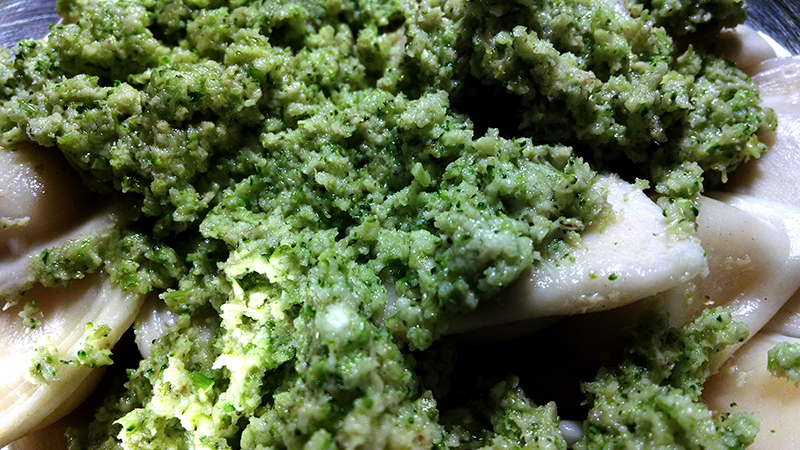 Mix in nutritional yeast. Stir in broth until the soup is the consistency you like. 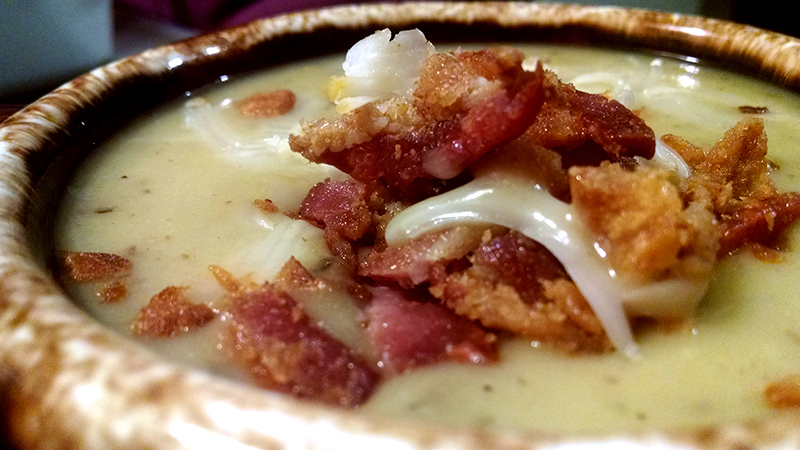 For serving: Crumble bacon on top of dish and sprinkle with muenster cheese. 5 spoons and a big thank you to pumpkins everywhere! Having never before opened up my own pumpkin, there was no frame of reference here for just how much pumpkin is in a pumpkin. My folks sent us home with one several weeks ago and it has been lounging as a kitchen table centerpiece since. Time came, though, to pony up — either cut it open and use it or set it outside to rot. The kitchen table wants not to continue ringing in the new year set on autumnal harvest mode. The first step was to address the seeds. I jabbed the top off and removed, then rinsed the seeds. I let them soak in cold water over night and roasted them the next day with a little salt and cayenne pepper. I roasted half of the pumpkin and made puree happen. 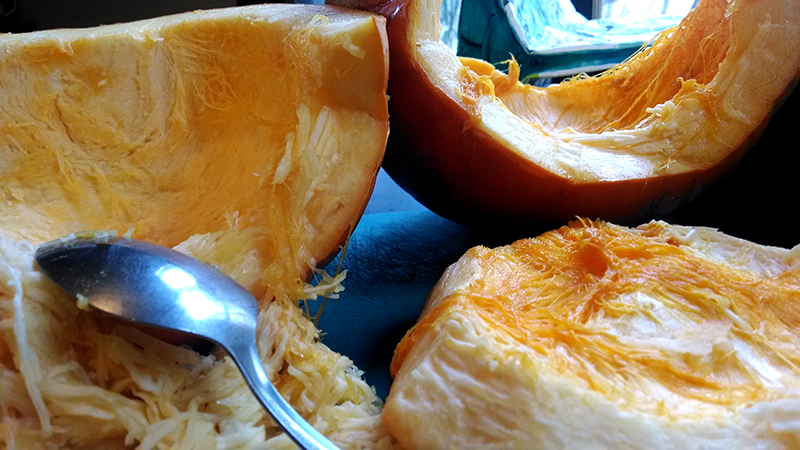 That required skinning the roasted slabs of pumpkin, putting the flesh through the food processor, then letting it rest for an hour in a colander under a plate. I made sure to save the water that squeezed out — it looks like water, but still packs all the same nutrients as flesh proper. About two cups of puree resulted from this. 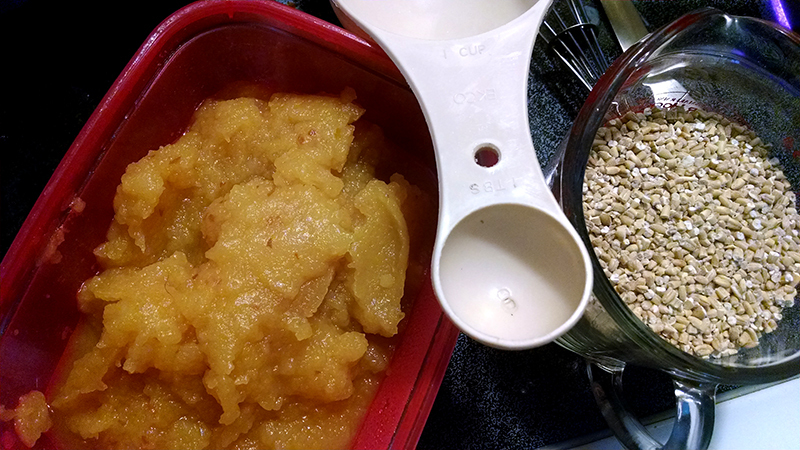 Half of that was stirred into the following morning’s steel-cut oatmeal with a little brown sugar. And then the remaining pumpkin? I had to procure help getting it diced into cubes in order to sally forth. From this pumpkin I assumed I’d get seeds and a meal (maybe two). 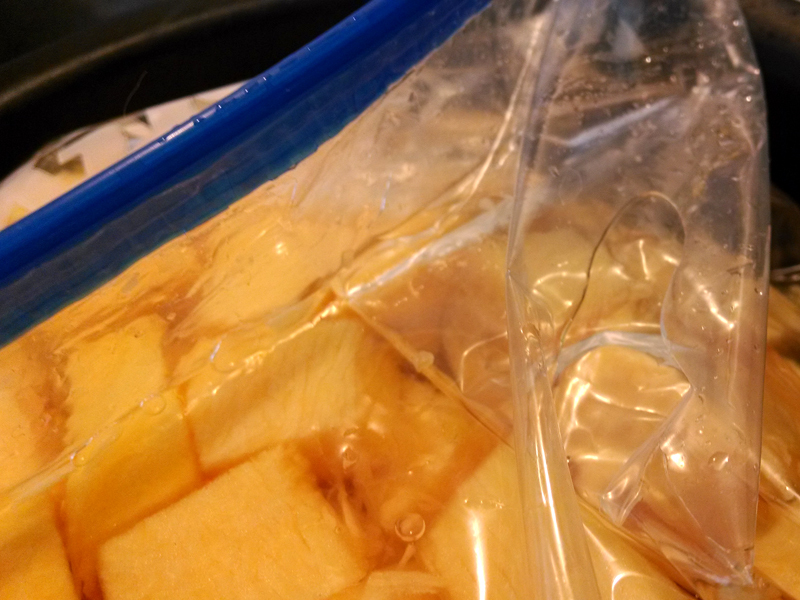 From the second half of the yet-to-be-cooked pumpkin resulted in a gallon and quart of 2″ cubes. A quart of chunks was frozen in a bag of water, then what will follow over the next day or two will be a couple of meals made with pumpkin — I know from the enormous amount of recipes online that I could have made something sweet, but I wanted better for pumpkin. I wanted to give it top — not dessert, but dinner — billing. Truth be told, I have never cared for pumpkin pie, so all the sweet-sounding things didn’t trip my wires the way most sugary things might. So I guess I didn’t necessarily want better for pumpkin, but perhaps for myself. Stay tuned for at least one pumpkin-bacon and one vegan pumpkin dinner!